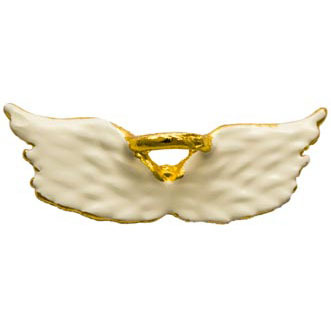 White angel wings with gold plated halo. Attractive! Great for rewards for volunteers, memorials. Angels' wings serve as symbols of God's care for his creation. 1 inch wide, clutch back. Pin has clutch backing and comes individually bagged. All religions believe in angels.